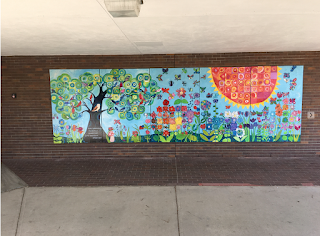 This mural is 8x20' long. 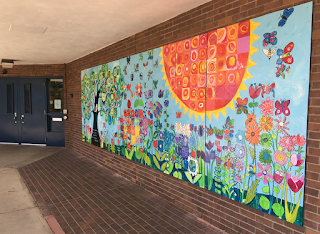 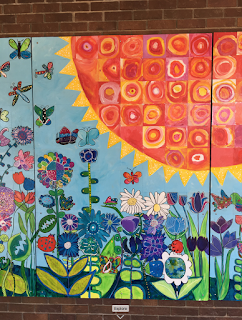 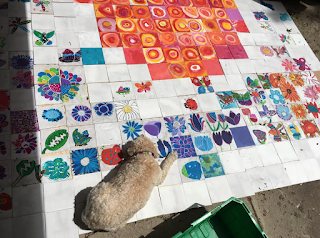 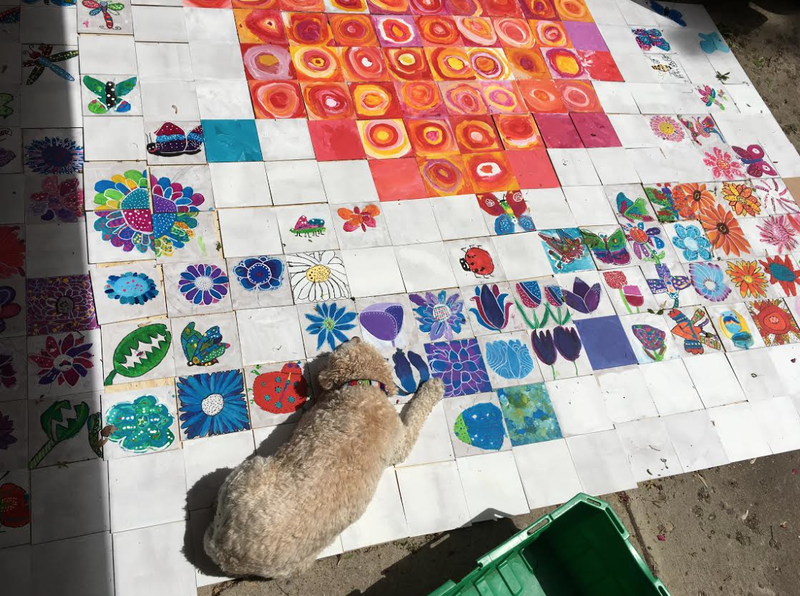 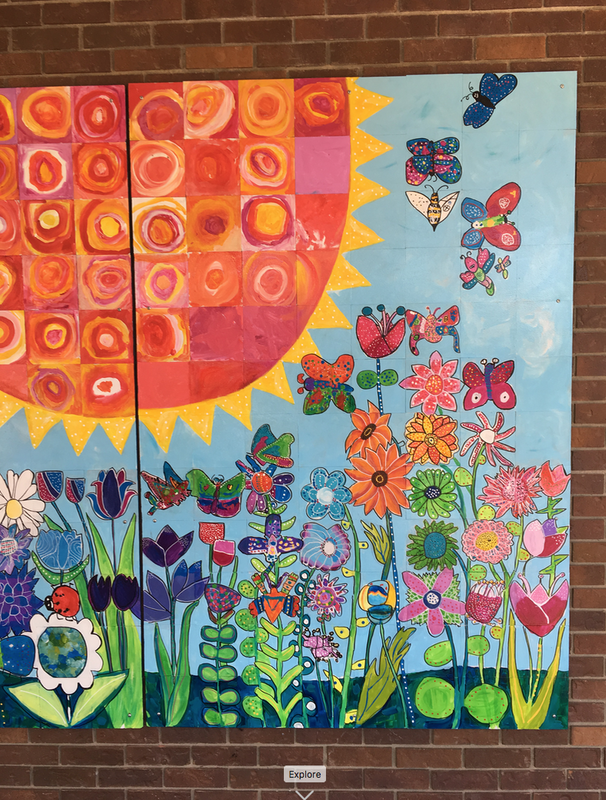 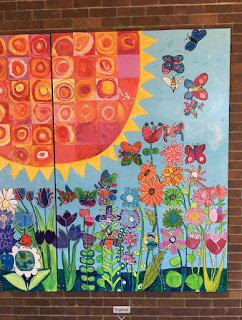 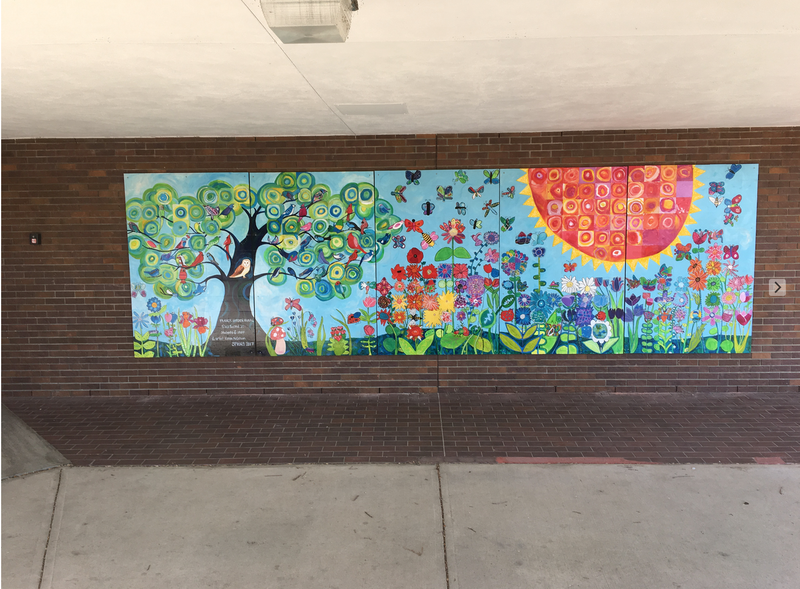 Each student (and teacher) painted one tile that was later incorporated into the overall mural design. 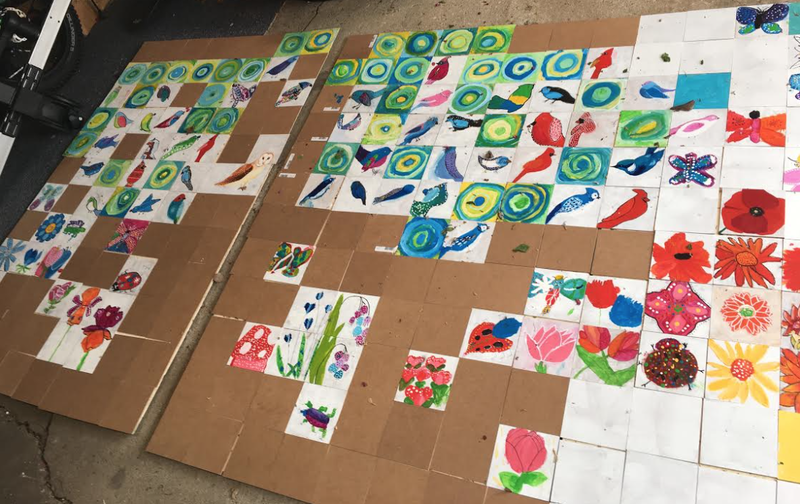 Placing all the student tiles to create the overall scene is a puzzle.